Tickets for Star Wars: Secrets of the Empire are on sale at Cinemark West Plano and www.cinemark.com/thevoid. PLANO, Texas--(BUSINESS WIRE)--Cinemark Holdings, Inc. (NYSE: CNK), one of the world’s largest motion picture exhibitors, announced that Sept. 22 will be the opening date of its in-theatre, hyper-reality experience in partnership with The VOID, the critically acclaimed global leader of fully immersive location-based experiences, and ILMxLAB. Tickets for Star Wars: Secrets of the Empire are on sale at the Cinemark West Plano theatre at 3800 Dallas Parkway, Plano, Texas, and online at www.cinemark.com/thevoid. “Imagine physically stepping into a new world, being transported into a story you see on screen. Now at Cinemark with The VOID, you can,” said Craig Watson, Chairman & CEO of The VOID. “We are excited to open our first in-theatre location in the U.S. with Cinemark, allowing guests to go from enjoying a film in the theatre, to playing an active, starring role in one of The VOID’s immersive experiences." Star Wars: Secrets of the Empire transports guests deep into the beloved Star Wars universe, allowing them to walk freely and untethered throughout the full-sensory experience. Under the orders of the rebellion, teams of four guests disguised as stormtroopers travel to the molten planet of Mustafar where they will work together to infiltrate an Imperial base. There, they will navigate through to steal critical intelligence, with help from familiar Star Wars characters along the way. Cinemark is a leading domestic and international motion picture exhibitor, operating 539 theatres with 5,998 screens in 41 U.S. states, Brazil, Argentina and 13 other Latin American countries as of June 30, 2018. For more information go to investors.cinemark.com. The critically-acclaimed global leader in location-based hyper-reality experiences, The VOID entertainment centers have marked a new frontier in interactive entertainment. Combining state-of-the art VR technology, physical stages and multi-sensory effects, including touch and smell, with Hollywood characters and storylines, The VOID let’s participants experience fully-immersive worlds that, until now, have only lived in the imagination. The VOID has eight entertainment centers globally, including three locations in the United States, two locations in Canada and one location in Dubai, U.A.E. For more information and to purchase tickets, visit www.thevoid.com and follow @voidvr on Instagram, Facebook and Twitter. 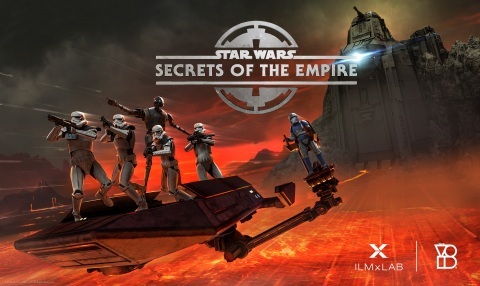 ILMxLAB was launched by Lucasfilm in 2015 to embrace the next truly transformative opportunity in entertainment: immersive storytelling powered by real-time computer graphics. The award-winning team strives to transition from storytelling to storyliving by using VR, AR and other emerging technologies to bring worlds to life and establish deep and intimate connections to characters. ILMxLAB develops and publishes premium, story-based immersive entertainment experiences for the home, theatre and public venues. For more information, follow ILMxLAB on Facebook, Twitter, Instagram, and YouTube. Lucasfilm Ltd. is a wholly-owned subsidiary of The Walt Disney Company. ILMxLAB, the ILMxLAB logo, STAR WARS and related properties are trademarks in the United States and/or in other countries of Lucasfilm Ltd. and/or its affiliates. © & TM 2018 Lucasfilm Ltd. All rights reserved. 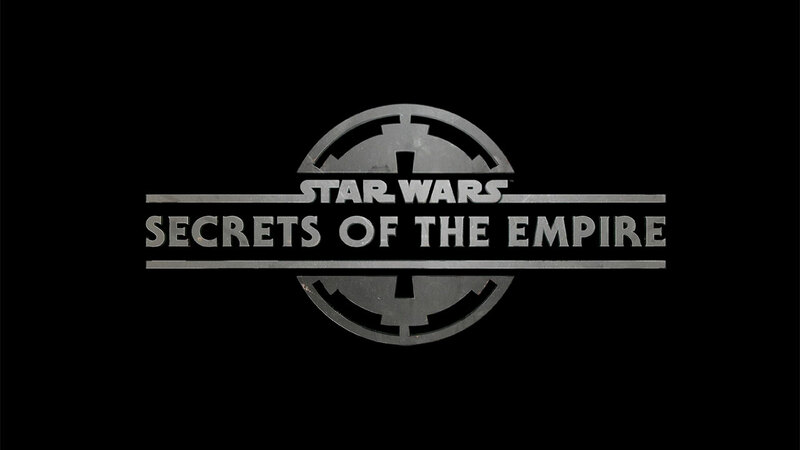 Cinemark is the First US Exhibitor to Launch an In-Theatre Hyper-Reality Experience with Star Wars: Secrets of the Empire – Opening Sept. 22.